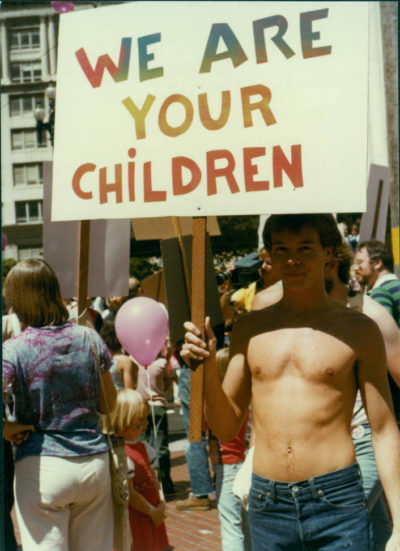 Gay Freedom Day, the San Francisco Pride parade, June 25, 1978. In office for only 11 months, Milk worked on a variety of causes. 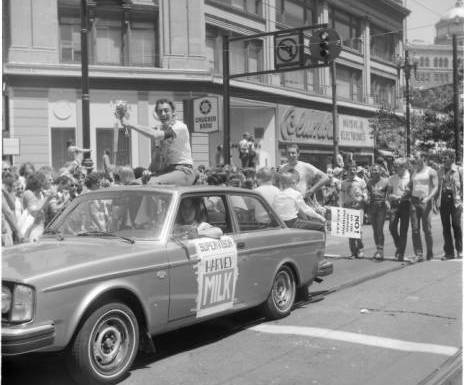 He successfully pushed the city to pass a strong anti-discrimination ordinance, and he helped lead defeat of the Briggs Initiative, which demonized gays and lesbians in public education. He fiercely advocated for LGBTQ youth. 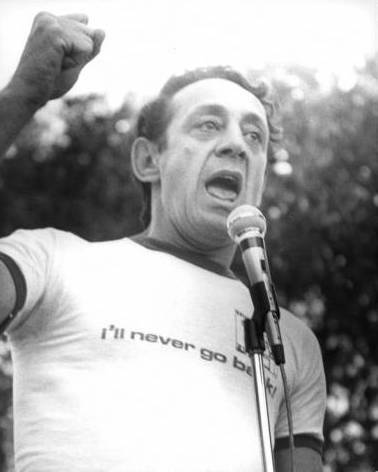 Harvey Milk speaks at the Los Angeles Christopher Street West Pride parade, in 1978. The following November, he and San Francisco Mayor George Moscone would be assassinated by his political rival, Dan White.